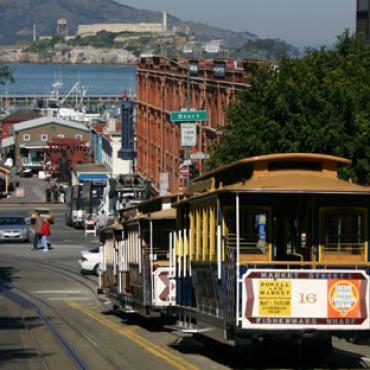 This tour departs from Fisherman's Wharf, passing through the Marina district with a brief photo stop at the Palace of Fine Arts. From here, it continues through the Presidio with beautiful views of the Bay, the Golden Gate and Crissy Field. From the top deck, there are unlimited views of the Bridge, Alcatraz, Angel Island, Marin Headlands, Baker Beach and San Francisco's skyline. After a brief photo stop at Vista Point, we cross back over the bridge, exploring the Presidio and Pacific Heights before returning to Fisherman's Wharf. 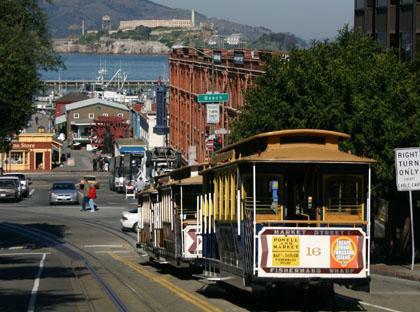 Departs at 9:00am, 2:00pm from 165 Jefferson Street, Fisherman’s Wharf.